OK. It’s been awhile. But there’s no time like the present to get caught up. Right? I spent the summer of ’15 hiking, camping, cottaging, and generally enjoying the blessings of being from the east coast of Canada. Trails Nova Scotia provides maps and details on over 200 trails in the province…and I’ve been to SO many places I didn’t know existed! An early May hike around Colpitt Lake with some wonderful water views as well as some city landscapes. 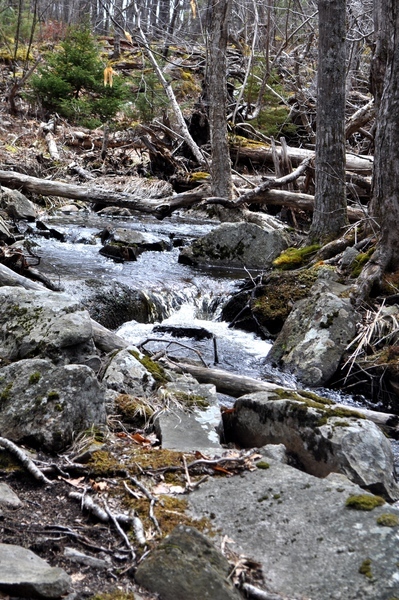 You don’t have to go far from the city to get back to nature…exposed bedrock, rough glacial terrain, a little bush whacking…a little more bush whacking.. 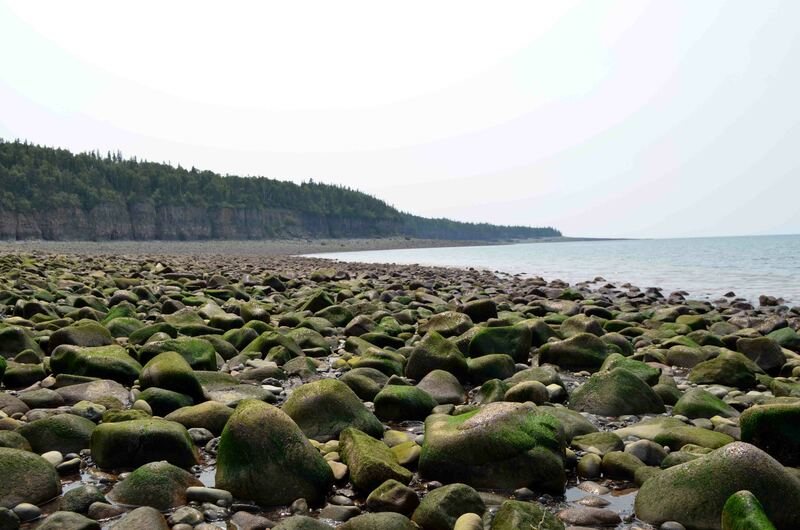 Hiking along the Bay of Fundy from Soley Cove to Five Islands Park. We started the hike about two hours after high tide, giving us plenty of time to explore the bottom of the bay. This is much the same route followed by runners in the “Not Since Moses” event. http://www.notsincemoses.com/ About 8 km of amazing shoreline that is covered by up to 45 ft. of water at high tide! On Canada Day we took on steep hills, water crossings, and rough trails in the Purcell’s Cove backlands; hiked to a lookoff, touched on Colpitt and Flat Lakes before heading back down to Teabag Lake for a swim. This Western Shore day wasn’t so much of a hike as an adventure. We started out with an Intro to Rock Hounding session presented by the President of Scotian Lapidary at the Lookoff Family Campground, in Canning. 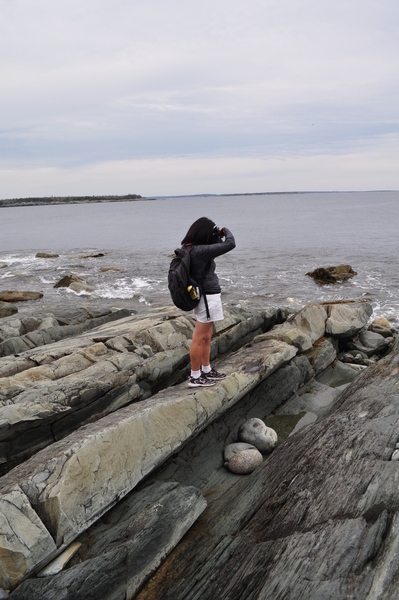 Once we knew what to look for we moved on to Scot’s Beach (where rocks find their way down from Amethyst Cove) for some rock hounding and then to Halls Harbour, a very picturesque village outside Canning. Finally, we headed to Blue Beach (a beach full of fossils) for an early evening bonfire. The step count wasn’t really up there, but I had just visited four places I didn’t know existed. Score! Micous Island is a 22-acre tidal island located near the eastern shore of St. Margarets Bay. The island is accessible by a sandbar at low tide. 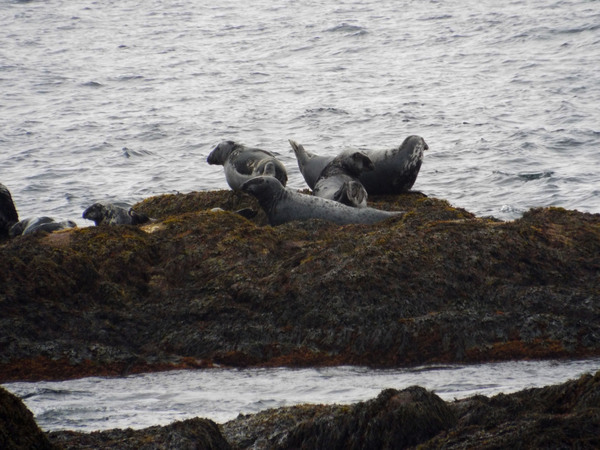 In 2007, the island was purchased through a community fundraising campaign and is now being cared for jointly by the Nova Scotia Department of Natural Resources and the St. Margarets Bay Stewardship Association. 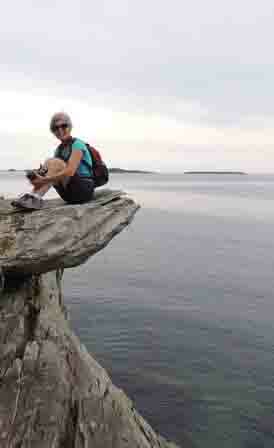 This entry was posted in Explorations and tagged beaches, hiking, Nova Scotia by D.Redmond. Bookmark the permalink.